With opulent design features and lavish materials, this Moroccan inspired creation is truly fit for royalty. 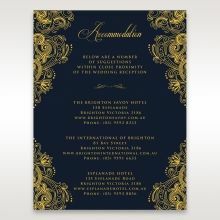 A cotton threaded paper stock in a royal navy acts as a canvas to a glistening hot foiled pattern. 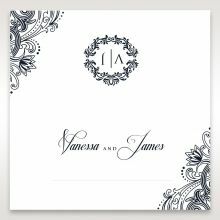 You and your partner’s details will be printed in a calligraphic font and your initials will feature in a unique monogram above the wording. 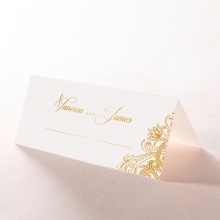 Delicately surrounded by a shimmering gold paper stock, a beautiful pattern has been dramatically cut for the gate. 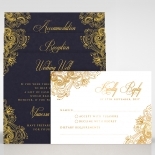 The design is finished off with a gold lotus flower for one last luxurious touch. 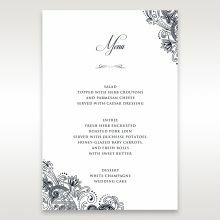 The website is intuitive to use and had a lot of invite options which are of varying spec levels from simple to intricate. So there are a lot of options for you to choose from. The website itself is very intuitive and easy to use. 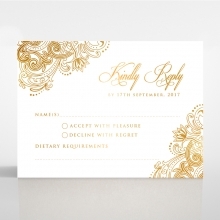 Drop down menus are great for choices, allows you to choose anything from paper colours, to text font to font colours. 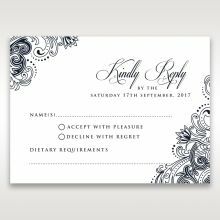 Easy to add your own text in for invite wording. There are also 3 edits available after purchase without any charges. The team is very responsive, with turnaround time for edits being 1-2 days. I ordered quite a few samples to try and take a look at. 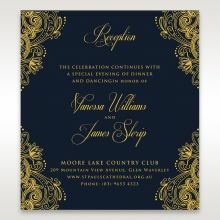 To try and see what invitation would be my favourite including this one; but when I saw it I fell in love! 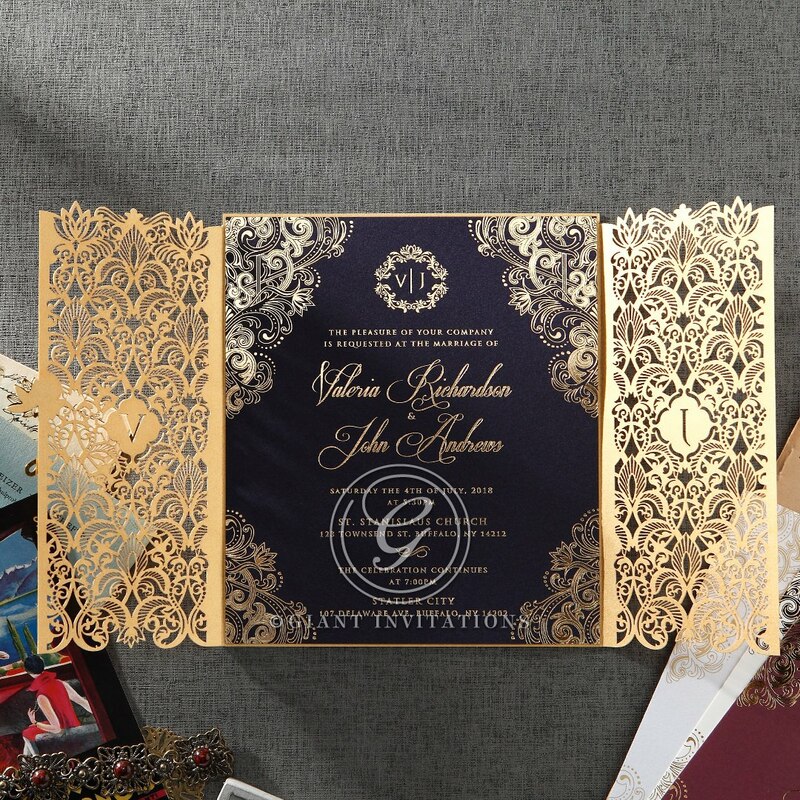 The incredible detail that this invitation has is amazing! 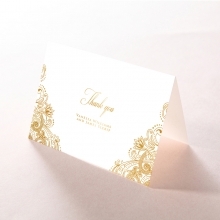 The sparkle of the very front all the way down to the writing and the font, every detail was perfect. 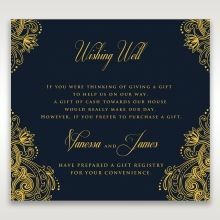 I had no idea what to expect when I went looking for wedding samples and all I can say is my expectations were exceeded. The quality is such a high standard I wouldn’t order from anywhere else! We were totally stunned by our invitations. We just love everything about them. 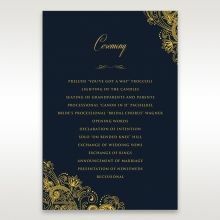 The printing quality was perfect on every single invitation. They were also packed with foam sheets to protect them which is great. The photos did not do them justice at all. 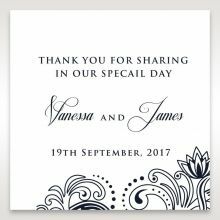 We have had compliments from everyone who received one saying how expensive and gorgeous they look but they were so reasonably priced. Thank you! 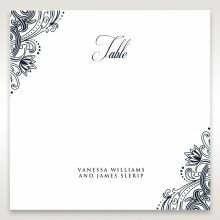 Elegant in an understated way and just what we’ve been looking for. Usually the quality of mock-up image is so different to the printed version. But we were so relieved and happy when they arrived. 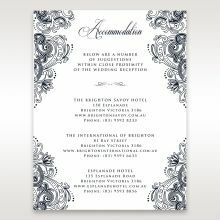 We’ve had great feedback from our guests and they loved the grand but simple & customised design. 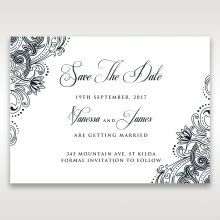 Some said it’s the best invitation they’ve seen. 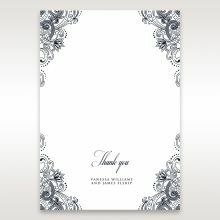 Designers were very helpful and supportive. Highly recommended. 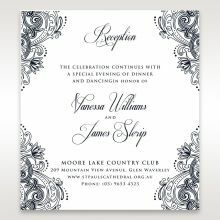 Unlike other invitation supplier , I have found these guys to be the most affordable , yet extremely easy to understand , and still look that little extra when it comes to styling as it is the invitation that sets the first impression for every wedding . 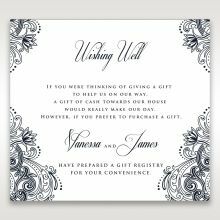 They have such a wide range and it is so cheap and easy to first see a sample before purchasing an invite . 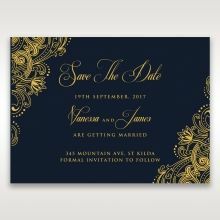 I love this design in particular , I have been to another designer in Sydney for almost the exact same design who charged double of what I was sling for . Would highly recommend these guys to anyone !